Clyde is a New York City-based label designed by Vancouver native Dani Griffiths. After moving to the city in 2008, Griffiths exercised her aptitude for fashion as a buyer, merchandiser and house collection sales director at Assembly New York. It was in 2010 that she started making her own line of discerning, crocheted wool accessories. Since then, the offering has steadily evolved to include a range of hats that are blocked by hand in a small New York state millinery factory. Sharp yet classic and smartly cultivated, Clyde has caught the attention of distinguished publications and ardent admirers worldwide. 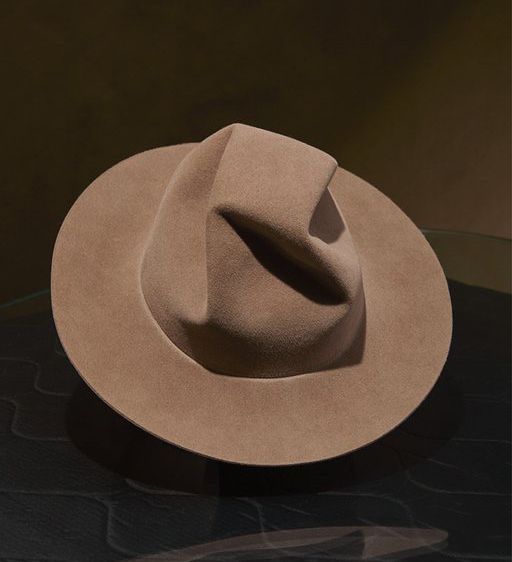 The hats, in particular, possess a sculptural beauty while maintaining a straightforward wearability–this balance perfected by hand finishes and considered design.